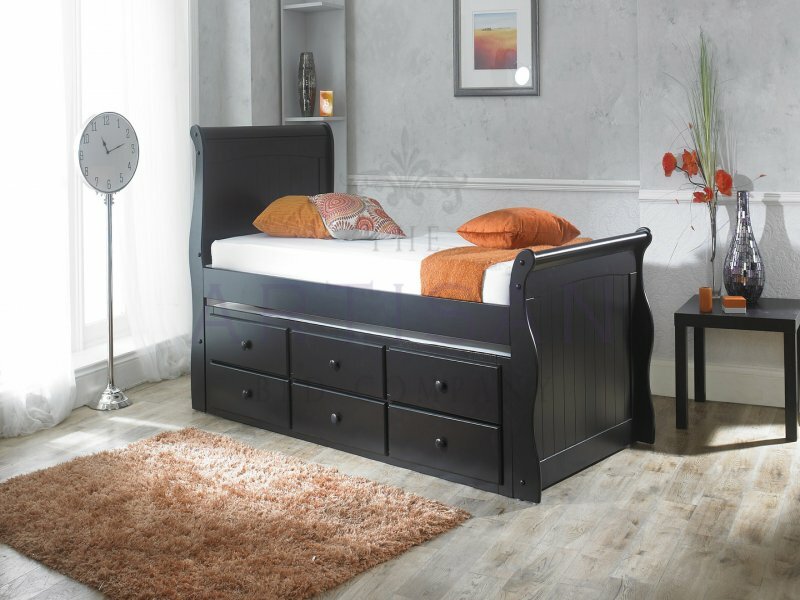 The modern style Captain bed including guest bed is a well constructed bed frame made from rubber wood. It will be a fantastic addition to any bedroom. This bed is very attractive, as well as being solid, secure and safe. It features a pull-out trundle guest bed and 3 storage drawers made from rubber wood. This fantastic bed is the perfect space saving solution.